Our dream wedding was booked, all-inclusive, paradise location just the two of us. We'd chosen to get married overseas and not tell anyone, we've both been married before so neither wanted the big white wedding again. 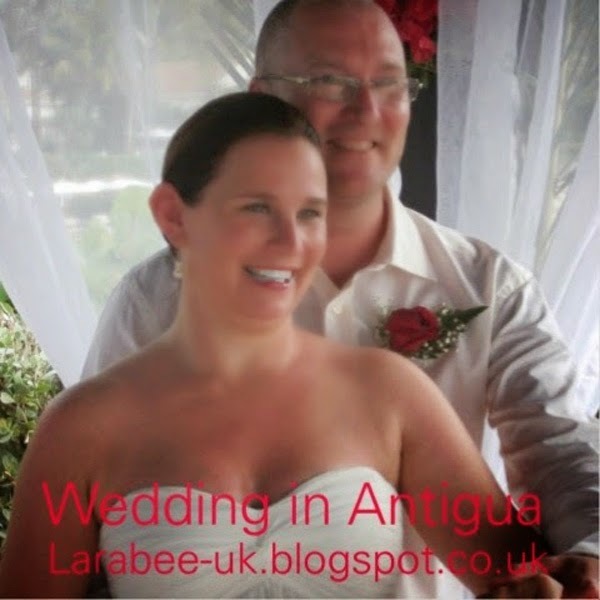 We had chosen a non-religious ceremony in Antigua, and a lovely 2 week honeymoon of all-inclusive eating, drinking, spa-treatments and watersports, heaven. Then... about 4 weeks before we were about to fly out we found out that we were expecting Thomas, the biggest shock of our lives, you see we were never going to have children, Kelsey & Hayden were enough we had a great lifestyle it wasn't that we didn't want one, we'd just never wanted one! However, when we found out, everything changed, we were both really happy to be expecting a child together. Those first few weeks weren't easy, because I was 36 and it was my first pregnancy there were high health risks with the baby, we didn't want to become too attached, just in case. We also made the decision not to tell anyone about the baby until after the 20 week scan if we could hide it for that long. Just before flying out we told our parents and family about the wedding, we had a little bit of a reception planned when we got back and everyone was super excited and supportive. Although the all-inclusive element of the holiday was out the window, we still knew we'd have a time to remember, and the fact that our new little addition was there with us made it all the more special. We were married 7 days after arriving in the wedding gazebo after obtaining a licence from the local court house, walking to the gazebo, everyone stood up and clapped and shouted, it was a lovely experience. In the afternoon we sat and had drinks around the pool with people we'd met (OJ for me!) in the evening we had the best seat in one of the restaurants overlooking the sea and watching the birds feeding on fish in the moonlight. The next day we had a horrendous storm, everyone sheltered from the storm in the main lounge, which was open sided but covered, so we could still watch the storm over the sea but without getting wet! We asked if our wedding cake could be brought out and served to everyone whilst sheltering, again we had a lovely friendly afternoon socialising with the rest of the guests and staff, it was another day to remember. As you will know, the pregnancy went perfectly and 6 months later we were blessed with the biggest gift we never knew we wanted. It's a challenge, being an older parent but neither of us would change things for the world.